A wide range of attractive design, high quality wood. The range on 19 th kinds of doors class «S», and 7-name types of door-class «A». When manufacturing is Italian (loops) and Finnish (roller-locking and answer plank) accessories. Glass combined wooden doors svetoteplozaschitnoe, heat-resistant. For a comfortable and convenient door and lower teplopoter used silicone seal. When you install a door canvas comes in a box does not tight, with a gap of about 3-5 millimeters, which allows the door to freely expand and shrink with changing humidity. 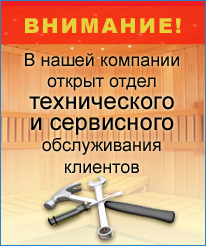 High-quality wood prevents the possibility of «vyvorachivaniya» door in the operation.